Amy Jackson is associate publisher of SmallGroups.com at Christianity Today. She oversees the planning and coordination of all content featured on the site, as well as the publishing and marketing strategies. 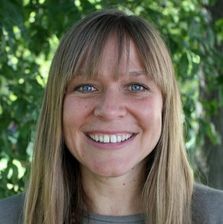 Amy has served as a small-group minister, as well as a coach and group leader. She has a MA in Christian Formation and Ministry from Wheaton College, is passionate about seeing people connect in transformational relationships through small groups, and gets excited about helping people connect with God through practicing spiritual disciplines individually and corporately. She has been married to Jim since 2007, and their daughter was born in 2014. They enjoy spending time outdoors, playing with their dog, Henry, and supporting local businesses and restaurants. You can find her online at amykjackson.com and on Twitter @amykjackson. 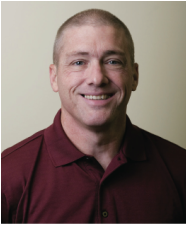 William “Bill” J. Duey teaches at the Crossover in Mattoon, IL and serves as the director of Fit-2-Serve, a not-for-profit he founded in 2008. The vision of Fit-2-Serve is to be a catalyst for a stronger collaborative community through relationships and service. For 24 years he served as a professor at both a state and Christian university and came to realize that service learning seems to be the pedagogy that millennials both crave and need and that Jesus frequently engaged His followers in. Bill and Rachel married in 2017 and serve the community together in various contexts. More info on Fit-2-Serve can be found at: fit-2-serve.net. Danah Himes is a campus minister at the Christian Campus House in Charleston, IL. Danah invests in the training and development of leaders while overseeing the small group ministry at CCH. She loves being a part of what God is doing in the lives of college students. Danah has a Bachelors Degree in Sociology from EIU and a Masters Degree in Ministry from Lincoln Christian Seminary. 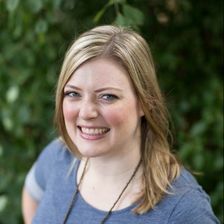 Danah has written articles for SmallGroups.com, womenleaders.com and CT Pastors. Danah enjoys board games with her family, working on puzzles, swimming, and watching sci-fi or justice-related movies. She loves doing life with Brad and their two boys. 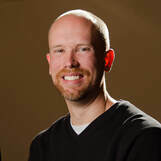 Brad Himes has a passion for training and developing others to lead biblical small groups throughout the community. His experience involves overseeing the Life Group and discipleship ministry at a local church as well as helping other churches around the country implement group ministry strategies. 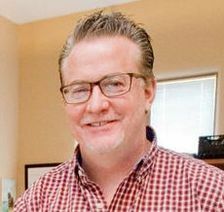 Brad is the founder of The Groups Conference and has written articles for SmallGroups.com, CT Pastors, Christian Standard, and LifeWay Publishing. 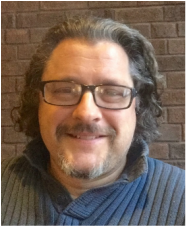 Currently, Brad is a Performance Consultant at a local not-for-profit hospital with a focus on employee training, facilitating, and consulting . Brad and Danah have been married since 2005 and have two great boys. Danah is a Campus Minister serving Eastern Illinois University and a vital partner in Brad’s journey. You can connect with Brad at: brad@thegroupsconference.com. M. Scott Boren is the President of The Center for Community & Mission, a training and consulting organization that works with Christian leaders to foster conversations about what it means to be Jesus-way people in a secular age. He is the author of nine books, including his latest Leading Small Groups in the Way of Jesus. He shares life in Saint Paul, MN, with his wife Shawna and their four kids. Michael Mack’s mission is to equip ordinary people to courageously lead extraordinary small groups. He believes life change happens best in the environment of healthy groups because he has experienced it himself. He loves helping leaders overflow through his ministry, Small Group Leadership, which exists to equip leaders; resource them with articles, books, blogs, and discussion guides; and coach/consult with ministry leaders. Mike founded smallgroups.com in 1995. His books for small group leaders include Small Group Vital Signs, The Pocket Guide to Burnout-Free Small Group Leadership, and Leading from the Heart (TOUCH Publications). His newest book is The World’s Greatest Small Group: 7 Powerful Traits of a Life-Changing Leader. He lives in Pewee Valley, Kentucky (just outside Louisville) with his wife Heidi. Dr. Bill Donahue, Ph.D., is a popular conference speaker, prolific author and leadership consultant. 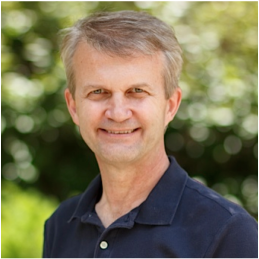 A graduate of Princeton University, Bill also holds a Ph.D. in Adult Learning from the University of North Texas. He is an Associate Professor at Trinity International University in Deerfield where he develops emerging leaders. He also serves as President of the LeaderSync Group, Inc. where he provides strategic consulting and leadership development for key leaders and their teams. Bill has worked with P&G and PNC Financial Corp. and as Director of Leader Development and Small Groups at the Willow Creek Association and Church where he designed leadership strategies and resources for life changing leaders worldwide. Bill has authored over a dozen books and resources including the best-selling Leading Life-changing Small Groups and co-authored Coaching Life-Changing Leaders with Greg Bowman, and Building a Life-changing Small Group Ministry with Russ Robinson. He resides in Dundee, Illinois with his wife Gail, and has two great children, Ryan and Kinsley. Rick has one passion... To see “a biblical small group within walking distance of every person on the planet making disciples that make disciples.” He is presently pursuing this passion as the Small Group and Discipleship Specialist at LifeWay Church Resources. Rick has authored or co-authored multiple books, studies, and leader training resources including A Different Kind of Tribe: Embracing the New Small Group Dynamic, Destination Community: Small Group Ministry Manual, The Gospel and the Truth: Living the Message of Jesus, Small Group Life Ministry Manual: A New Approach to Small Groups, Redeeming the Tears: a Journey Through Grief and Loss, Small Group Life: Kingdom, Small Group Kickoff Retreat: Experiential Training for Small Group Leaders, Great Beginnings: Your First Small Group Study, Disciples Path: A Practical Guide to Disciple Making, and Countdown: Launching and Leading Transformational Groups. Rick’s varied ministry experiences as an collegiate minister, small group pastor, teaching pastor, elder, full-time trainer and church consultant, as well as having been a successful church planter gives him a perspective of church life that is all-encompassing and multi-dimensional. Rick is a highly sought after communicator and trainer. Hi! I’m the Leadership Pastor at the Vineyard Church (Urbana, IL). We are a church with five campuses in East Central Illinois. My assignment is to multiply the number of leaders, small groups, and churches here, near and far away. It’s a fun and challenging job. Since 1992 the central focus of my ministry has been small group ministry. For eight years of that time my full-time job was writing training and consulting with churches helping them to establish vibrant small group ministries. In my quest to help churches like yours with small groups I completed a Ph.D. in Organizational Communication from Regent University researching what differentiates growing small groups from stagnant ones and why some churches small groups ministry thrive while others struggle. If you want to learn more about what I and my fellow researcher discovered, you’ll want to pick up our recently published book, Small Groups, Big Impact, the most researched and I think the most practical book ever written for small group leaders.